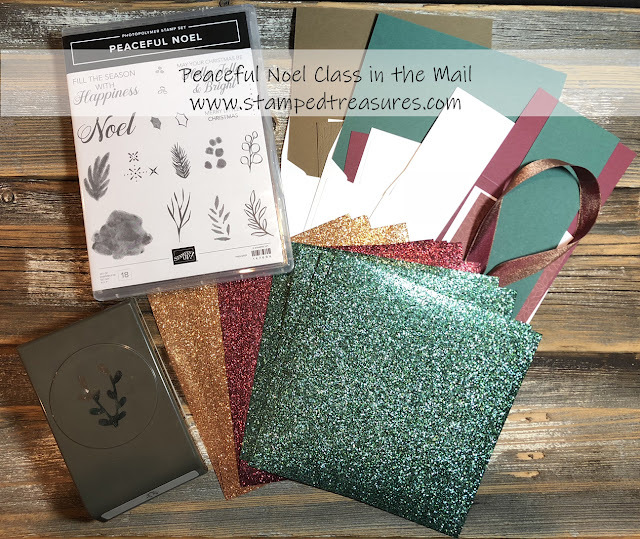 The Peaceful Noel bundle from the holiday catalogue is such a beautiful stamp set. But it's not just the stamp set, it's the whole suite that is amazing. 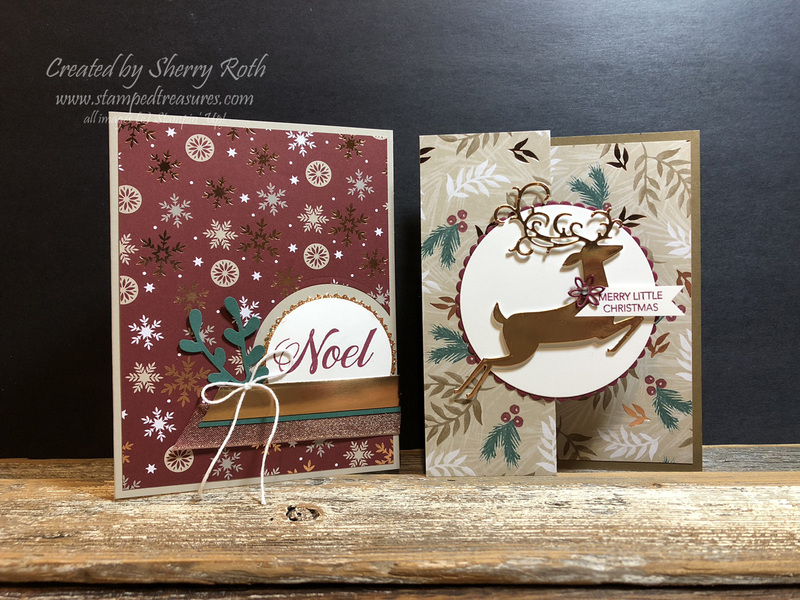 I created both these cards live on Facebook this morning. You can find the replay at the bottom of this post. I love to find uses for the pieces that are left on my desk. So that circle that I punched out from the dsp had to get used. So I used it to create this next card. This would be a great card to mass produce. 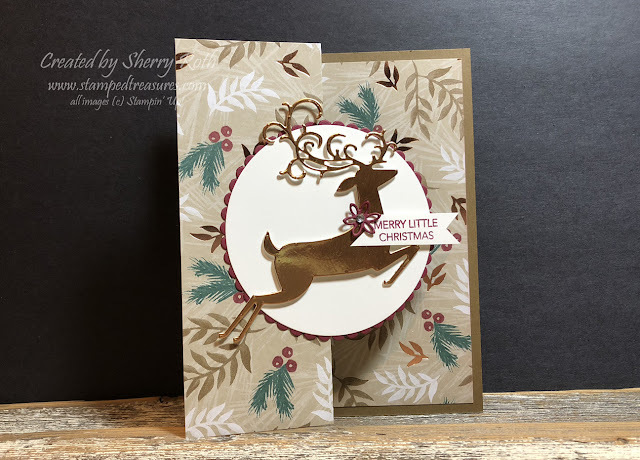 This suite, especially the dsp, pairs so beautifully with the Dashing Deer bundle that I had to use the Detailed Deer framelits on this next card. 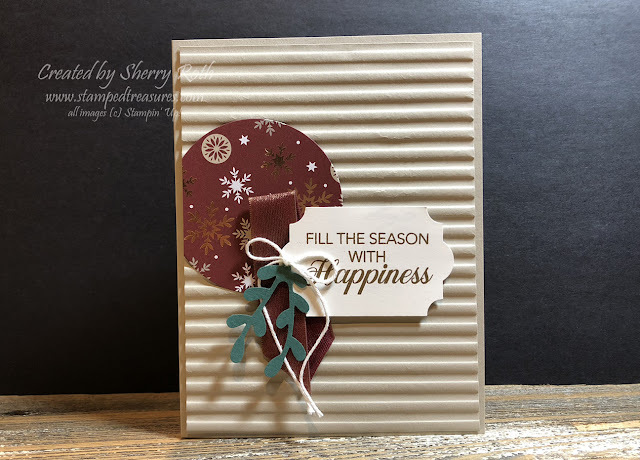 This features a simple fun fold. All you do is take a piece of patterned paper that measures 5-1/4" x 8" and score it at 2" and 4". 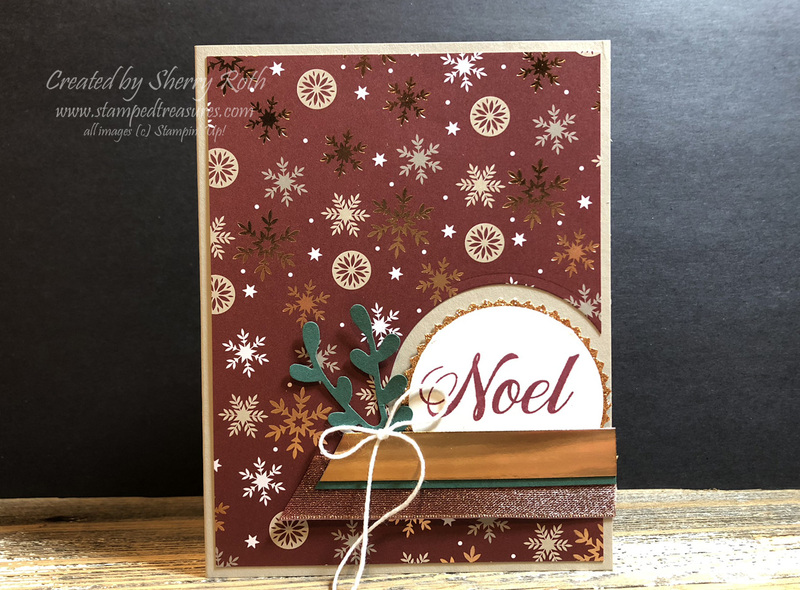 Here's a look at the card when it's open. The photos show the cards with different patterned papers but in the video I shared how to use one strip of 5-1/4" x 12" dsp to create all three cards. You'll find the video at the end of this post. This months class in the mail features the Peaceful Noel bundle. The class has 4 different options, so there's something for everyone. You can find all the details here. And as promised, here's todays video replay.